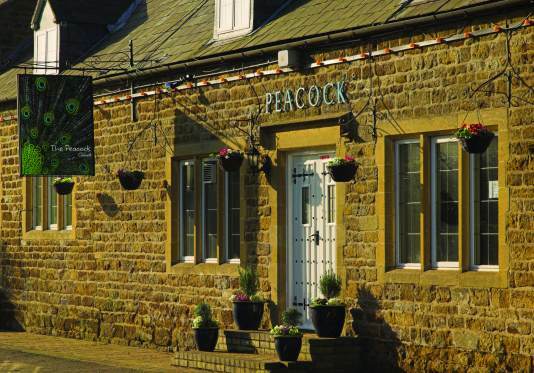 The Peacock Oxhill has a goal to deliver customers a great mix of food and a classical English country pub atmosphere where both occasional visitors and regulars will feel at home. We pride ourselves on delivering British food sourced from local suppliers and using food in season as far as possible and are especially proud of our fish. We do like to compliment this approach with other dishes from around the world. Leading the way in Gluten Free menus. We are also very proud that we were runners up in the Freefrom Eating Out awards coming second in the whole of the uk for pubs. This was for our allergen awareness, we not only offer gluten free menus, but dairy free and egg free menus too. Please give us a call for more information.